This amazing Broccoli Salad recipe I found at http://paleocomfortfoods.com/ and I love it. It's so fresh and healthy and tasty in the same time. I hope yiu like it. In a large skillet, cook the bacon over medium heat until crispy, about 5 to 7 minutes. Remove the skillet from the heat. Place the bacon on a plate lined with paper towels and set aside. Reserve 1 tablespoon of the bacon drippings. 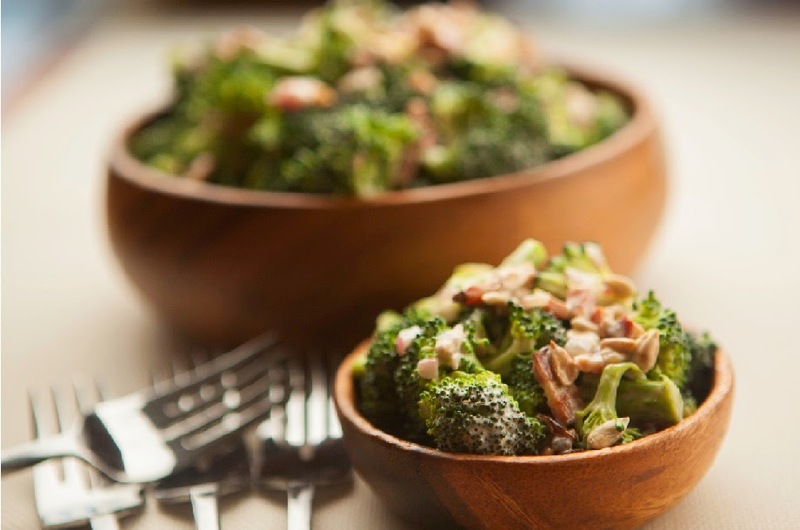 In a large bowl, mix together the broccoli, raisins, sunflower seeds and onion. In a small bowl, whisk together the mayonnaise, vinegar and the reserved bacon drippings. Pour the mayonnaise mixture over the broccoli and mix well. Dice the reserved bacon and fold it into the broccoli salad. Season with salt and pepper to taste, and refrigerate the salad until ready to serve.